Toronto Youth Shorts is currently accepting short films to be considered for our 11th season, taking place in August 2019. Submissions are only accepted online through FilmFreeway. i. EARLY DEADLINE: There is no fee if you submit by February 24, 2019.
ii. REGULAR DEADLINE The fee for submitting between February 25 - March 29, 2019 is $15. iii. EXTENDED DEADLINE: The fee for submitting between March 30 - May 10, 2019 is $25. iv. There are no submission fees for those currently enrolled in an Ontario primary (elementary) or secondary institution (high school). EMAIL US A COPY OF YOUR STUDENT CARD OR PROOF OF ENROLLMENT FOR A WAIVER CODE. 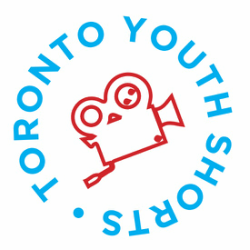 i. Toronto Youth Shorts is open to those aged 30 and under (as of August 1, 2019) born in, residing in, attending school in or will return to school in the Southern Ontario area. ii. A selection committee will view all eligible submissions and consider each individual project for induction into the festival lineup. iii. All entries must be submitted by either the director or producer of the work. v. Films can be of any language but films with dialogue not in English require English subtitles hard-coded onto the film. vi. No works in progress. Incomplete entries are ineligible. i. Films submitted to the film festival must be 20 minutes or less, including credits. No exceptions. i. All films selected for the film festival are eligible for awards, which are determined by a third party jury panel. ii. Results of the awards will be announced at a ceremony taking place at the end of the festival run. i. Entrants will be notified of acceptance by email. Please provide a valid email address and ensure that torontoyouthshorts@gmail.com is permitted to email you. ii. Submissions may not be withdrawn from the festival once they have been accepted except under the sole discretion of the festival. iii. Festival organizers reserve the right to pull any admitted works from the festival lineup at any point with no notification.